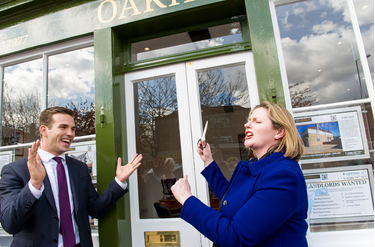 Oakhill estate agents launched their agency business in style with an open day on Saturday 27th April. Michael Wright and the Oakhill team were joined by a large number of invited guests including local MP Mary McLeod, Barbara Reid (Conservative councillor for Osterley & Spring Grove), members of the Isleworth Society and many other local residents including Ray Farndham who, at the age of ninety one is the oldest resident of Old Isleworth. 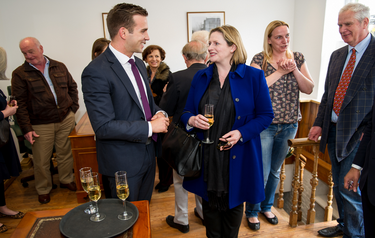 The champagne flowed and the Oakhill team were delighted with the positive response from everyone who attended. 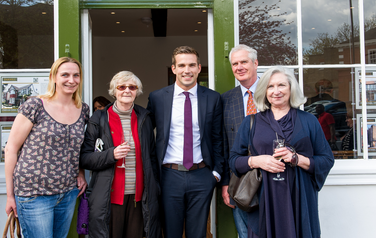 Michael Wright said: “We wanted to announce our arrival in style and were delighted that so many local people came and said hello including local MP Mary McLeod who took time out of her busy schedule to cut the ribbon on our newly refurbished offices.